They are everywhere and they cover any topics under the sky – blogs, that is. And if you still hold the notion that blogs are just online diaries of people rambling on and on about their personal life, it’s time to snap out of it. Improving traffic to your corporate website. 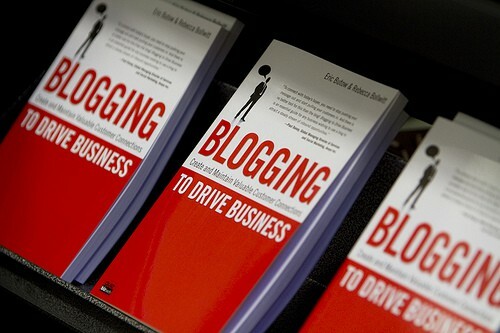 People read blogs while they are commuting to work, during their lunch time or when they are simply surfing on the net. With strategic blogging on topics that people are interested in, you can raise awareness on your business and drive them to your site. I can’t stress enough on the importance of good blog or web content; you have to deliver something useful to your readers to build up your credibility so that they will keep coming back. The rest will follow, such as a better search ranking and as you build up a reader base, the clicks to your site will keep coming in. Your corporate site may not be the best platform for an informal exchange between you and your clients. This is where blogging comes in to provide an opportunity to talk about something fun, answer questions and establish an endearing personality among your readers. You can set up a category where you archive the commonly asked questions or problems your clients have encountered. You can be sure that your readers will appreciate this gesture as they prepare themselves for any similar scenarios they might come across. The opportunity to convert visitors to clients also comes through it. This also proves that you, as a business owner, cares about your clients and wish to offer a great support in terms of problem solving. In the event that your corporate site is down with technical errors, you can dispatch the information to your clients via your blog. Your clients can also take advantage of the blog as a medium to provide feedback or comments should they experience problems with your site or wish to reflect a common issue faced by them. Blogging about upcoming events or promotions on your products can have a further outreach to your audience. They can simply share the blog post with their friends via a link and chances are your clients (potential and existing) are more likely to know about the promotions through your blog rather than your corporate site. If your blog is constantly updated with interesting, educational information; it goes without saying that there will be readers who will bookmark the site and return again and again. Your base of readers are built from there and if you can take the time to interact with them and find out their needs, these bonds will form the basis of a tight knit community that has a shared interest. Your readers have the power of garnering their friends and family to read the blog; they are the ones who can spread awareness of your business and generate referrals. Blogging about something you are passionate about (if you aren’t passionate about your business, then you shouldn’t be involved in it) is not a chore. No doubt that it is not a breeze, but it does get easier once you start writing. This can be a good opportunity for you to sit down and gather your thoughts about the different facets of your business or result in a good brainstorming session to come up with new ideas. You can easily test the waters by seeking opinions from your readers and carry out further refining from there. It would also be easier for you to build up on certain issues in the future if you have written about them so they can stay up with the times. With continuous efforts, you will look back gladly one day at the posts you have written and see how far you have come, just like reading a diary documenting your progress! If you are considering improving your blog or getting started in blogging then please get in touch to discuss how we can help you with Blog Design or a website review.